Well hello to you my reader chums! The Kat Von D brand is quite new on the beauty market and hyped widely within the blogging community. Its 'tattoo liner' has been raved about for a long time now and whilst in New York, I couldn't resist picking it up as I'm a sucker for a good eye liner. I've used this on many occasions now and love it a little bit more each time. Here are few reasons why.. 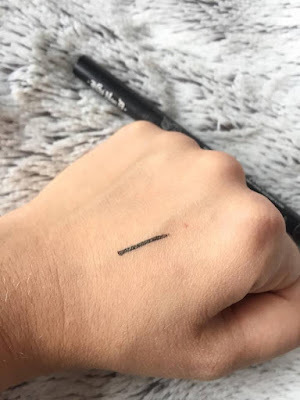 When it comes to liquid eye liner packaging design, all I ask for is a lid that securely tightens and a thin nib, so we're already in for a winner with this product. The tube makes that satisfying clicky noise once you close it which in turn prevents the liner from drying up. Its nib isn't as thin as my holy grail, L'oreal super liner, however it is slim enough to create the perfect winged look, whether that's a small, defined line or full-on cat eye. I've tried several liquid liners and there's nothing worse when the pigmentation isn't a staple black or has a thin consistency. However, the tattoo liner is one of the blackest liners I've tried and its pigmentation is seamless. As the colour is that intense, there's no need to go over the line several times to get the full colour pay off. Even with an opaque black finish, it still has a slight gleam over the top. 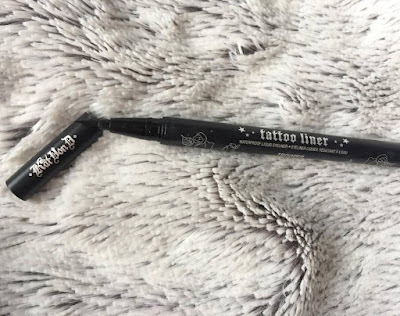 Application is easy with the Kat Von D tattoo liner. Its small nib and high pigmentation means the product glides on the eye easily without reapplication needed. The brush is very soft so doesn't tug during application and given the size, you're able to go from small to dramatic flick. Above all the other fabulous features, my favourite has to be the lasting power. 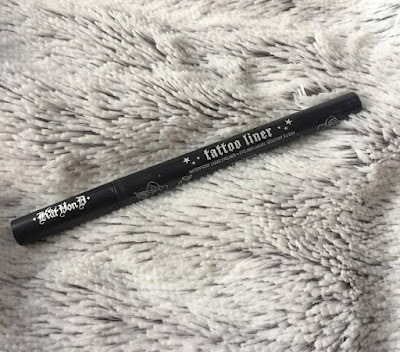 Whenever I use eye liners, despite the price tag, they always manage to slightly wear away by the end of the night, however the tattoo liner is different. Its opaque colour clings on throughout the whole day/night and can even be hard to wipe off at times. I love this factor as it means, I know it'll last when I get watery eyes and can trust the product for any photo-ready opportunity. 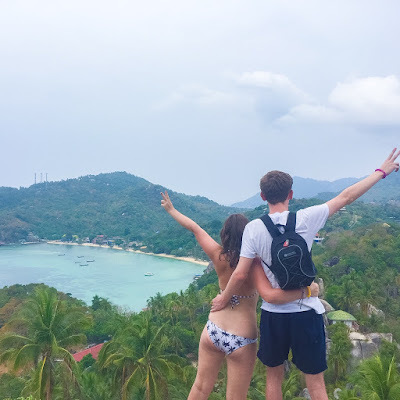 I hope you enjoyed this review. Have you tried Kat Von D's liquid eye liner?